Chlorine is a potent disinfectant that is dangerous in both gaseous and liquid states. Improper handling of chlorine can result in death, which is why it’s extremely important for workers to be cautious when working with or around it. It’s important that you and your employees know how to handle chlorine in the workplace. Below are a few things to consider to reduce the dangers of chlorine. In high concentrations, chlorine has a yellow greenish color; while in lower concentrations, it’s colorless. It also has an acrid smell. Chlorine is most harmful in its gaseous state, especially during a gas leak. Because it is much denser than air, chlorine gas will settle close to the ground and start to fill the room. If this happens, workers should immediately evacuate the area and seek medical aid. Chlorine exposure at low concentrations may cause eye, nose and throat irritation. As concentrations increase, symptoms worsen. 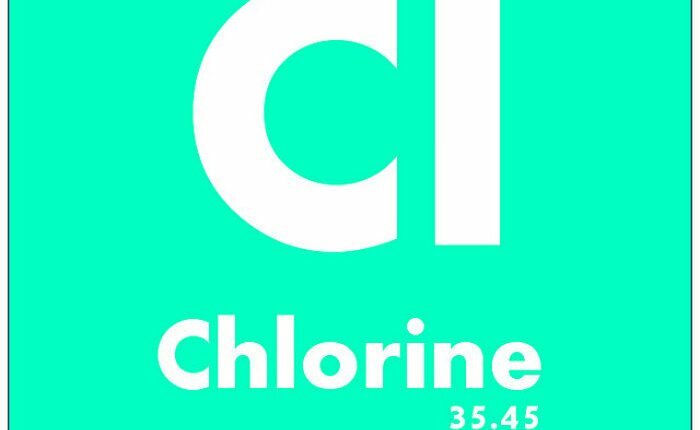 Taking a few breaths of high concentrations of chlorine can result in death within 30 minutes. Emergency procedures should be immediately initiated once a gas leak occurs. There are different risk controls available for implementation. Continue reading below, where these controls are arranged in order of efficiency. Consider asking yourself the questions following each control. The most efficient risk control is to eliminate the source of hazard by substituting a safer process or ingredient, if possible. Can a less dangerous ingredient be used? Are there safer disinfection treatments available? Another great way to reduce exposure is to make physical alterations to the facility, machinery, and/or processes. Is improving the ventilation system a possibility? Can chlorine levels be measured using a monitoring system? Administrative controls include changes in rules and regulations, distribution of awareness materials, and training of workers. Are workers aware of the exposure control plan? Are there warning signs and infographics posted in the work are? There should always be another risk control used with this one because this is the least effective of all. Are workers always wearing the proper personal protective equipment? Is all personal protective equipment tested and maintained?